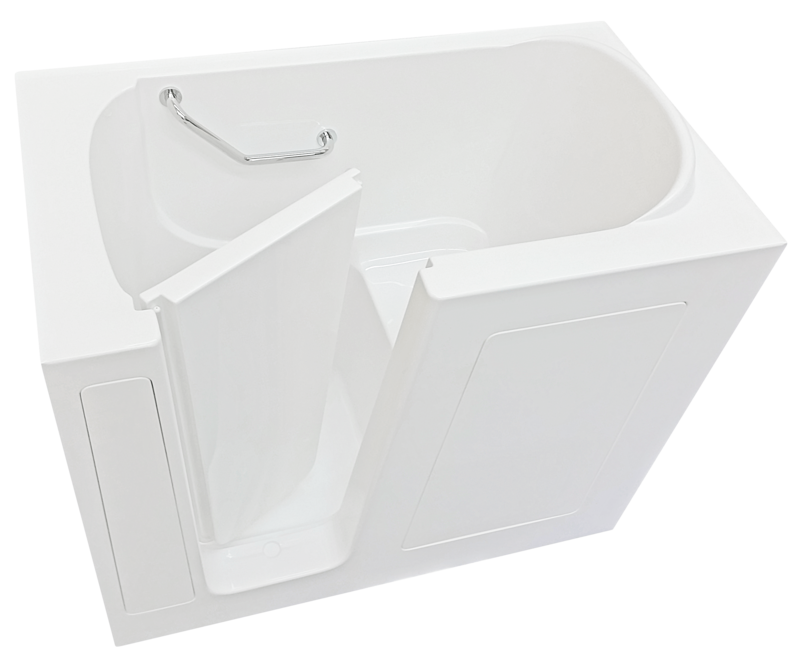 Bliss Tubs Model B305546 Extra-Deep Walk-in Tub boasts an additional 6 inches of water depth that allow for full submersion of the upper body. Modeled after Japanese-style soaking tubs, the B305546 is the deepest walk-in tub on the market today. This model is simply the best option for deep soaking. This model comes with a 5-inch wide extension kit that can fill in a 60-inch space or be cut to tailor the fit to less than 60 inches. This extra-deep walk-in tub is highly recommended for those over 6 feet tall, but it is still an excellent option for those of average height who desire a luxuriously deep soak. Given the significantly higher water level, the hydromassage jets of one of our industry-leading therapy systems can be placed higher to target the mid and upper back, making this model perfect for those with a longer torso. With its 29-inch width, the B305546 can fit through most doorways, reducing installation costs. However, an in-home evaluation of the bathroom is always suggested prior to installation.